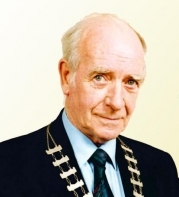 Tommy Lavin, who has died, was a Fine Gael member of Sligo County Council for more than 36 years. The Ballymote-based councillor served as chairman of the authority in 1984 and, again, in 1992. Local TD Tony McLoughlin and former colleagues have been paying tribute. His remains were removed to the Church of the Immaculate Conception this evening.